Damselflies belong to the order Odonata (“o do NAY ta”), and Odonata comes from the Greek word odon (tooth) which refers to the damselflies’ mandibles (Hyperlink to adaptations) or the shape of their abdomen. 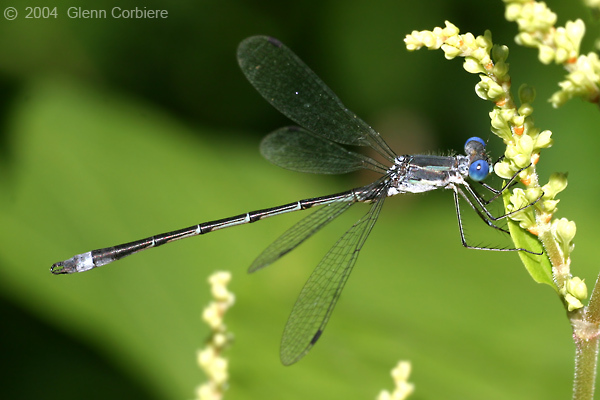 If you find a damselfly and want to classify it, then click here! Click the picture to view a phylogenetic tree for domain, kingdom, phylum, and class classification for Zygoptera. Click this picture to see the phylogenetic tree for class, order, suborder, and families of Zygoptera. I created these phylogenetic trees by formatting tables in Microsoft Word. 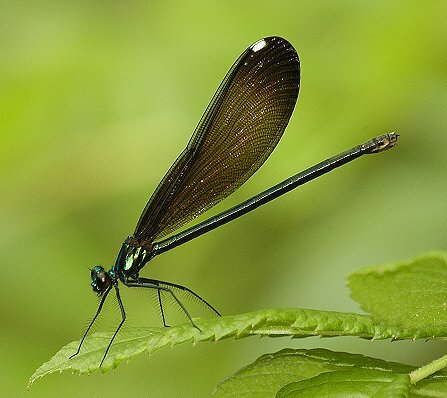 Damselflies belong in the domain Eukarya which comes from two terms, “eu” meaning “true” and “karya” which means “nucleus.” Damselflies are classified here because their cells have true nuclei (genetic material) and membrane-bound organelles. Zygoptera are part of the kingdom Animalia because they are heterotrophic (define), lack a cell wall, and are able to move during at least one life cycle. Zygoptera are in the phylum Arthropoda because they have a chitinous exoskeleton, are segmented, grow by molting, and use paired/joint appendages. Zygoptera belong to the class Insecta because they have compound eyes, three pairs of legs, and go through metamorphosis during the life cycle. Zygoptera are part of the order Odonata because they have two pairs of wings, 6 legs suited for prey capturing, and have elaborate mating processes. Odonata use a mandible to capture and chew their prey. During reproduction, Odonata males and females fly latched together. Zygoptera are smaller than the other suborder Anisoptera with a small, cylindrical abdomen. Most Zygoptera hold their wings up, over their body instead of out to the sides like Anisoptera, and Zygoptera eyes sit toward the sides of the head instead of on top. Keep reading to investigate three of the Zygoptera families! 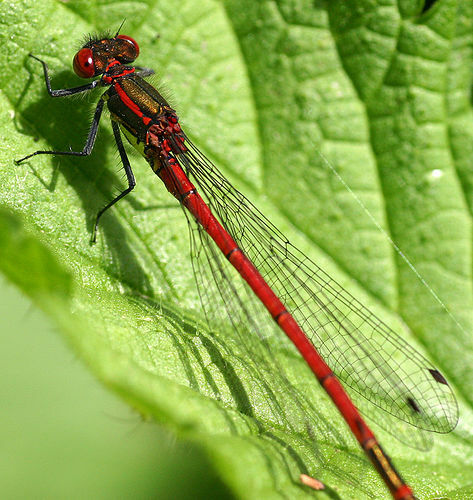 The Coenagrionidae family is the most common damselfly family, commonly now as Pond Damsels because they reside near ponds or slowly moving streams. These particular damselflies are small and fragile in appearance with stalked wings. Males are us ually black and blue or green while females are black and tan; however, females may go through two color changes, including a male-like pattern and a duller pattern. Species names generally stem from their coloration (i.e. Violet Tails and Bluets). 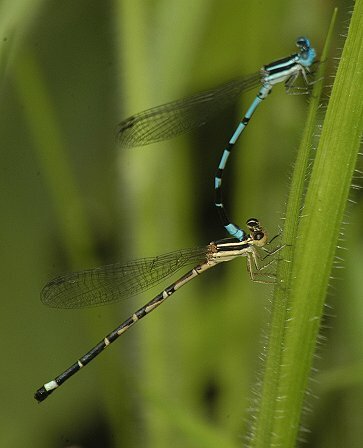 Three groups comprise Coenagrionidae: Argia (dancers), Enallagma (American Bluets), and Ischnura (forktails). Argia (dancers): There are over 100 species in this genus, and they are an active and alert bunch. These damsels are usually blue and purple, but two species are either white ash or soot colored; Agria species have a black stripe running along their back with lighter stripes bordering it, but there are many variations in this color scheme. Members of this genus like to perch on flat surfaces, including rock walls or the ground, and while they perch, they “clap” their wings together. To determine if the damselfly belongs to Agria, look at the long spurs on the legs. Enallagma (American Bluets): This is the most common genus with 40 species covering much of the northern hemisphere. Adults thrive from late May through September, but their naiads can live up to 3 years in their aquatic habitats. It is easy to mistake Bluets for other species because their colorations vary widely; males are a light blue than the females with black spots that look like stripes, and females are usually a dark blue with large black spots than the males. Ischnura (Forktails): Damselflies in this genus are much smaller that Enallagma, but they live in similar habitats to them. Males are mostly black with blue or green sections near the backend, and they have green stripes on their sides near the head. Females, on the other hand, are orange or brown with a variety of color schemes. Ischnura are commonly called Forktails because the last segment of their abdomen is split. 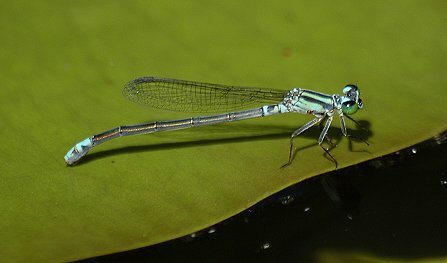 Calopterygidae damselflies are large, measuring in at 2 inches long; they are commonly known as Broad-Winged Damselflies, but in the past, people called them the “Birds of Paradise amongst Odonata.” The bright, metallic colors on male and some female wings were probably the basis for this name. The wing color patterns can be similar between males and females, so it is easier to distinguish between the sexes based on eye color; males have black eyes while females have brown eyes. This Zygoptera family displays unique mating rituals and territorial behavior. 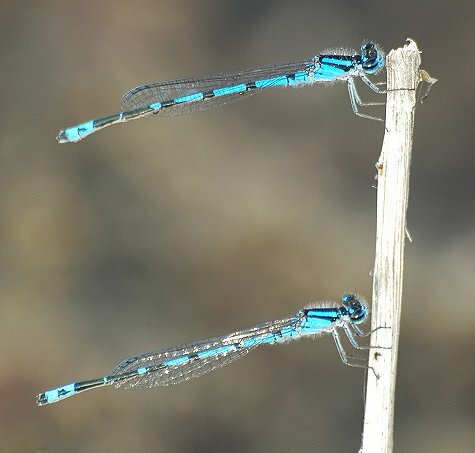 Males hover and bounce in front of the female, and the female damselfly accepts or rejects the male. Once the female begins ovipositing, the male perches near her, exhibiting territorial behaviors. In the adult stage, Calopterygidae damselflies rarely stray far away from the ponds and streams where they completed their naiad stage. While flying, these damselflies appear to skip because as their wings hesitate at the top of each stroke as they beat 16 times per second. Damselflies belonging to the Lestidae family are also called Spread-Winged Damselflies because they hold their wings out to the sides when they are not flying; this characteristic makes Spread-Winged Damselflies look like dragonflies, but their long, slender bodies differentiate them as damselflies. This Zygoptera family rest vertically on stems and grasses while they hold their wings out; these damselflies reside near ponds and swamps and are most prevalent during late summer. Lestidae damselflies have clear wings which narrow until they become stalks, earning them another common name, Stalk-Winged. Their dark-wing spots are elongated or rectangular, are larger than other damselfly families, and are metallic blue or green. Entomologists disagree on the proper methods for identifying damselfly species. Some species are difficult to classify because they are not properly recorded upon capture; this occurred when entomologists neglected other families in Zygoptera while they investigated Coenagrionidae, but the families that they focus on need to be revisited to base classification on new documentation. 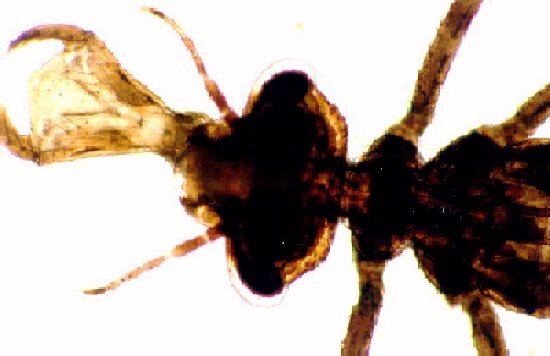 · Do not rely on only the naiad’s morphology; look at the adult’s features. · Illustrate the subject’s genitalia. · Describe structures of species similar to the subject. · Use other authors’ descriptions as a base for new ones. Now you know what they look like and how to identify them, but where do they live? Head over to the habitat page to see if they live by you!